This is a behind-the-scenes look at what went into creating a successful and iconic citywide program for Oregon’s capital and the Salem Area Chamber of Commerce. You wouldn’t skimp on the time it takes to lay the foundation of a house. It takes time to perfect and oftentimes the creative process is messy at first. A brand’s logo is as important as that foundation. When Kim Leighty, the director of member services at the Salem Chamber of Commerce approached us for help expanding their city-wide program, “Dine in the Mid-Valley”, we set out to create something iconic, relevant to their customers, and instantly recognizable. This is a more in-depth look at one of our extensive branding projects. 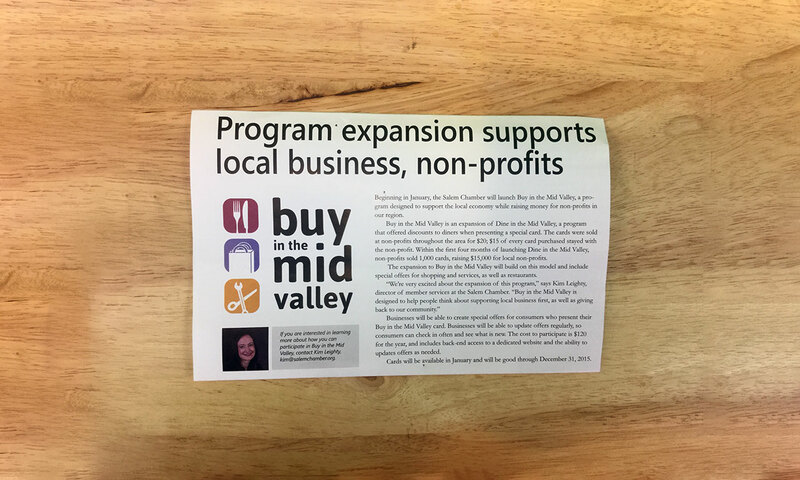 We were approached by the Salem Area Chamber of Commerce and asked to help expand their popular “Dine in the Mid Valley” program with a new citywide effort called “Buy in the Mid Valley”. This program supports non-profits in the Salem, Oregon area and participants in the program receive discounts off of fine dining, services, and shopping throughout the Willamette Valley. 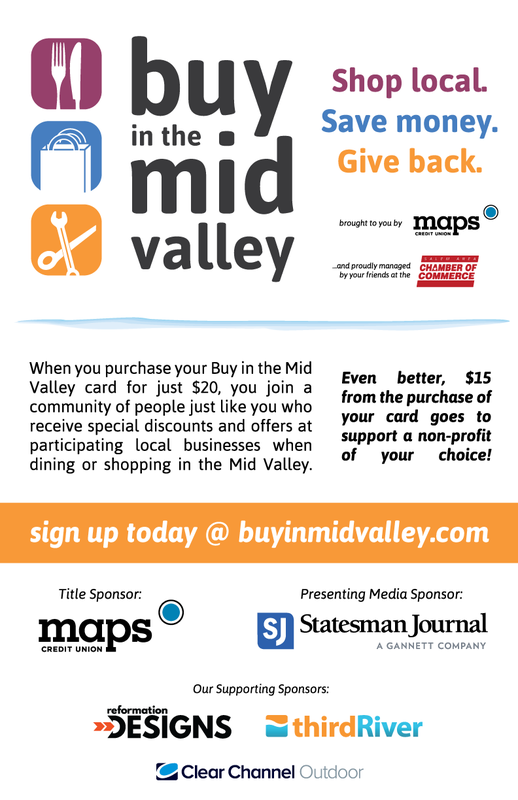 It was a pleasure working with Ryan on the logos for Buy in the Mid Valley! 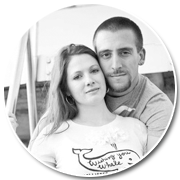 He was creative and took the extra time to make sure that we received exactly what we wanted with our finished logo designs. 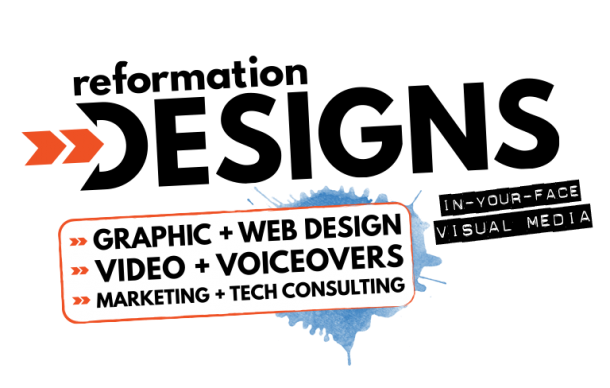 He is very innovative and I would recommend him to anyone needing graphic or website design. He is a fantastic resource and has a lot of knowledge! television and in all participating businesses. We also designed the printed marketing materials for the program.